There are many drug testing kits available on the market today, but few of them can come close to providing the accurate results that OrAlert is capable of providing. A new and innovative drug testing solution that goes way beyond the typical drug testing kits available on the market, the OrAlert might just be the last drug testing kit you will ever need. All of these substances can be detected by OrAlert saliva drug test to a remarkably accurate degree even in minute amounts. This makes OrAlert ideally suited to a wide variety of drug testing purposes wherein other solutions are less effective or simply useless. OrAlert relies on oral fluids and saliva for drawing samples for testing. 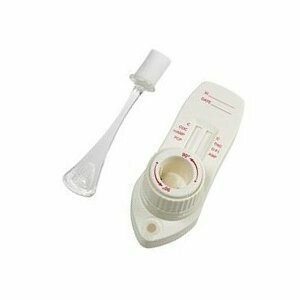 This method of drug testing has a number of significant advantages over other testing methods. A non-invasive form of testing that should find favor with companies that are eager to avoid potential legal issues associated with testing, saliva testing also has the advantage of a high degree of accuracy. Since there is no need to collect blood or urine from the test subject, the test can be carried out easily enough in virtually any setting. If the cost of traditional urine testing has been a cause of concern for your company, you will definitely appreciate the convenience and cost saving that the OrAlert system provides. Drug testing is becoming an increasingly common aspect of employment today. For a state-of-the-art solution that beats out all other in convenience and effectiveness, OrAlert is the only option worth considering.